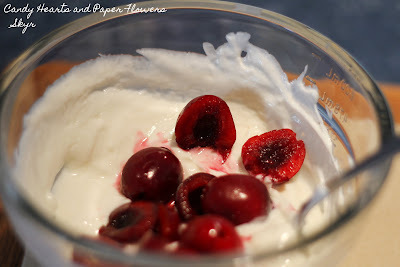 I talked a bit about my love affair with skyr yesterday, and promised after it was whipped up and sampled that I'd share the recipe. You do need skyr to make skyr, so if you are lucky enough to be in Iceland grab yourself a container of plain skyr. 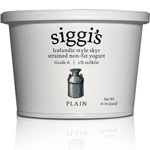 Otherwise go to Siggi's Skyr and see if you can find a location near you that sells it. The nice thing is that you once you make skyr you can continue making the next batch with the skyr you've made and so on. As long as you make it every three weeks or so you don't need to buy skyr again. This is what I did after reading as many online recipes for skyr as I could find. It worked beautifully! These need to be sterilized (dunked in boiling water) or taken clean direct from the dishwasher. 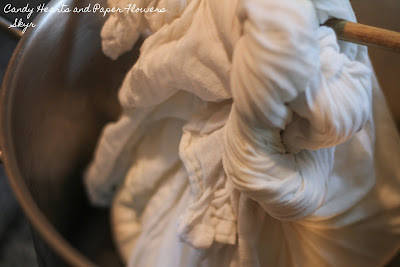 You also need cheesecloth or a cotton dishtowel and a big fluffy towel or two. Pour the gallon of milk into a large pot and bring to 180F over medium heat whisking frequently to prevent scalding. Turn the heat to low and bring to 185F, whisking constantly. Remove from heat immediately. The last bit is to prevent scalding, however a little scalding is alright, just make sure you don't whisk the scalded bits up into the milk. Place the pot into a cool water bath (sink full of cool water works well) until the temperature reaches 110F. I changed out the water once during this cool down, I brought it down to 140F rather quickly, then let it come down the rest of the way slowly. I didn't want to accidentally cool it too much. 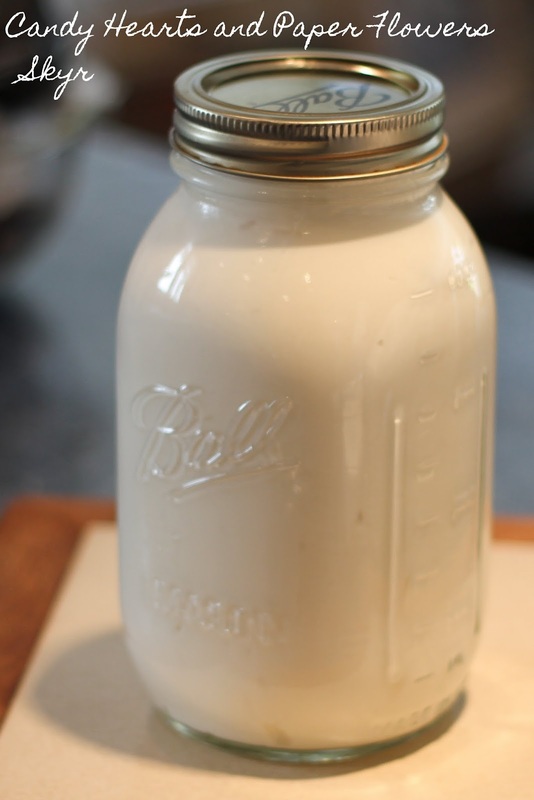 Once the milk is cool, pour 2/3 cup skyr and approximately a cup of the cooled milk into a small bowl and whisk it together. Pour into the pot of cooled milk and whisk to distribute. Add the rennet drops if using liquid. 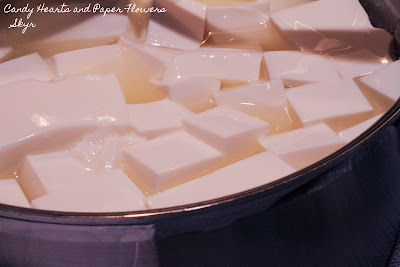 Drop them into a spoon and then add to the milk mixture, too much rennet will make the skyr rubbery. 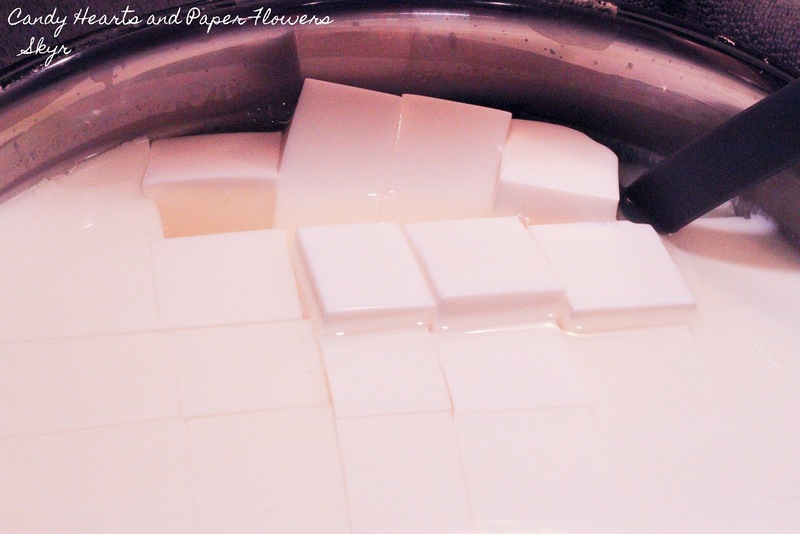 If using a tablet, dissolve the tablet into 1/4 cup warm water then add that to the milk mixture. Whisk the pot to distribute. Turn the oven on to 200 for 1 minute (just to take any chill off). Put the lid on the pot. Wrap the pot and lid completely in the towel and stick in the oven for 12 hours. If the pot doesn't fit in your oven, or you need your oven, you can also put it in a cooler and put a couple of containers of warm water in around it. Forget about the skyr for 12 hours, don't peek at it or disturb it. At this point I'm sharing lots of pictures, because it's more about look and texture, which is hard to describe but very easy to see. Take your pot out from it's cozy towel and open the lid. 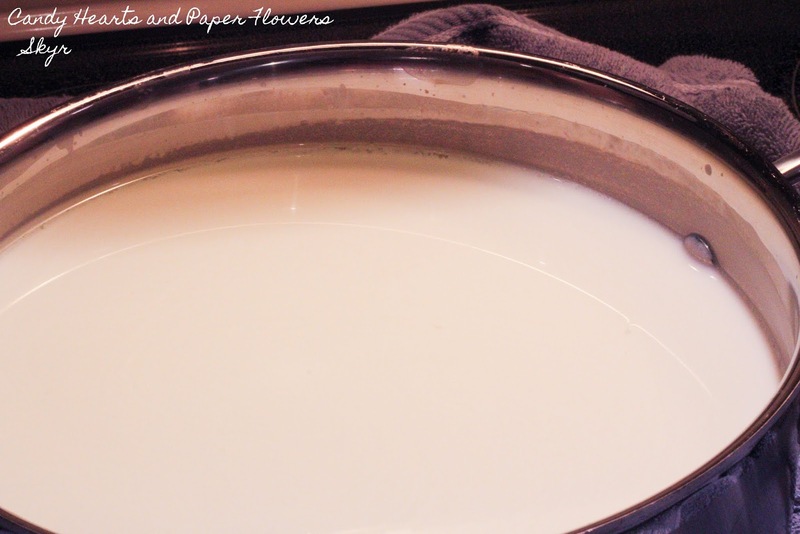 This is what it will look like (click for a larger views if needed), if you wiggle the pot slightly you'll see a slight layer of whey and the milk will be congealed. Take a knife and score through the skyr, until it's cubed. Line your 8+ cup bowl with a double layer of cheesecloth or the cotton dish towel. Use your strainer spoon or slotted spoon to scoop the skyr curds into the dish towel, draining it as best you can with the spoon as you go. You may need to pause and pour some whey out of the bowl you are transferring to a couple of times so it will all fit. 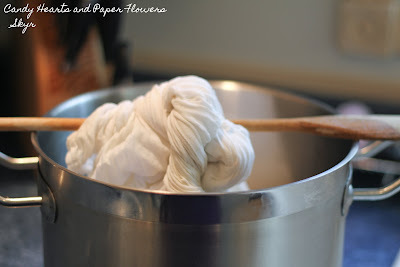 Once it's all in the dish cloth (cheesecloth) twist up the ends at the top and tie them up around a long utensil or stick to keep the cloth above the whey if possible. Put this bowl in your refrigerator for 6-8 hours and let it drain as much whey as possible. Reduce to about 1/4 of what you started with (gallon of milk). Unwrap and it'll look like this now. Sort of dry looking and the consistency of cream cheese. Put it in a mixing bowl and beat it for 3 minutes or so on high, might need to start on low for a bit at first. When you are done it'll look like this. Mmmmmm skyr! 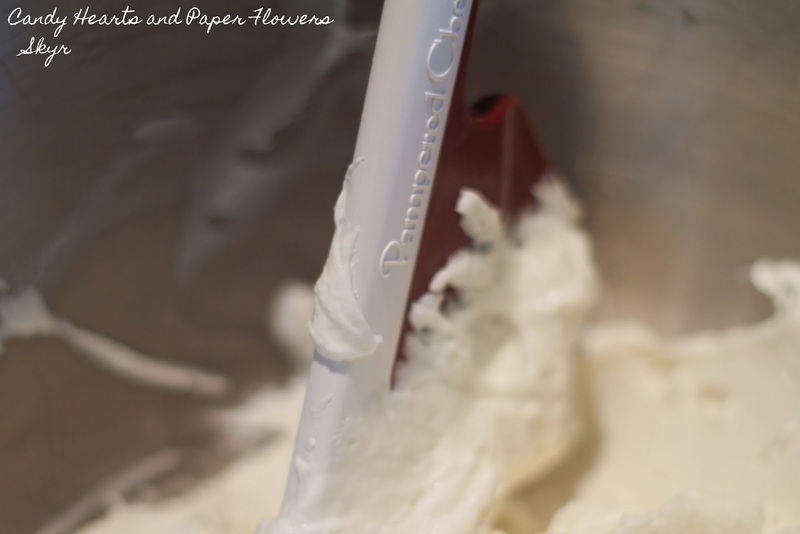 It can be used plain as a cheese spread (treat it similarly to cream cheese as a spread). 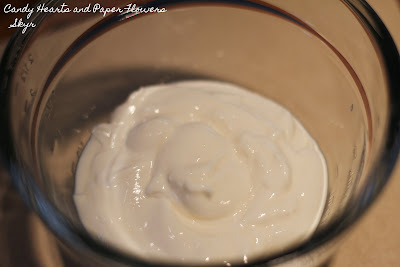 Or, you can add a bit of milk to it and stir it together until you achieve a consistency similar to sour cream or yogurt. Stir in fruit or sweetener of your choice and enjoy. 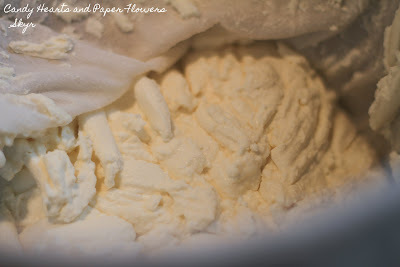 This made a 4 cup jar of plain skyr (nothing added) which will last between 3-4 weeks. Plus enough for a small bowl to split with my daughter for dessert tonight, this is just under 1/2 cup skyr, and just under 1/4 cup milk and sweetener or fruit to taste. I like my skyr on the thick side. Thank you for posting this! Apparently making skyr is a pretty obscure thing, but I'm lucky to have a local source of it and the drive and desire to make my own (and a friend with a goat! 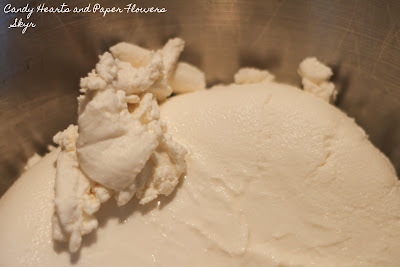 ), but I couldn't find the method ANYWHERE but knew it was more complicated than making basic yogurt. It's very, very similar to making basic yogurt with the addition of rennet and longer draining. If you are familiar with that, it's easy. I've made homemade yogurt before which is what instilled my obsession with bringing Skyr back from Iceland with me to have a steady supply. I don't have access to unpasteurized goat's milk, I just used skim milk from the grocery store and it worked just fine.